At least eight children — mostly babies and toddlers younger than age 2 — have died this spring after being left by caregivers or trapped in hot cars. That includes seven deaths in May alone, nearly double the typical number of heatstroke deaths during the month involving kids forgotten or neglected in vehicles, according to the advocacy groupKidsAndCars.org. It provides a devastating reminder of the consequences of distraction and stress. “It has everything to do with our brains letting us down at the worst possible moment,” said Janette Fennell, president and founder of the group that works to raise awareness about the dangers of hot cars. The May deaths occurred in four states over about two weeks, starting with the May 10 accident involving a 5-month-old girl who was left in a car at Riverside High School in El Paso, Texas. Her mother, Wakesha Ives, 37, is a teacher at the school, according to news reports. El Paso law enforcement officials told NBC News they’re still investigating the case. 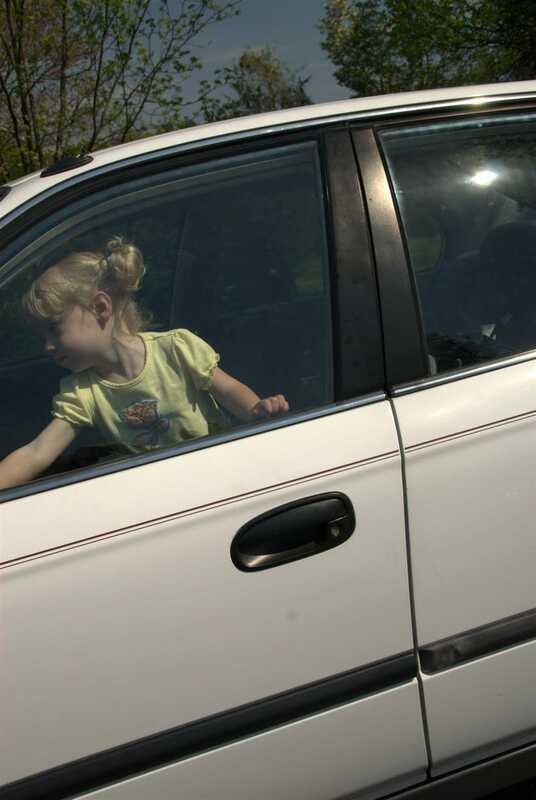 To date, 567 children have died after being left in cars in the U.S. since 1998, according to figures from the Department of Geosciences at San Francisco State University, which tracks reports. On average, 38 children die each year in hot cars, with cases beginning to climb in May, which has an average of four deaths per month. A 4-year-old boy in Brevard, N.C., Lance Duncan, died May 15 after being left in a hot van for several hours, according to family reports. The boy’s grandmother dropped other children off at school and didn’t see that the preschooler was still inside, Transylvania County Sheriff's officials said. An 11-month-old Kendall, Fla. boy, Bryan Osceola, died May 16 after his mother, Catalina Bruno, left him in a car seat in a vehicle outside the family home, according to the Miami-Dade Police Department. The baby’s father, Amos Osceola, asked where the child was and then found him inside the car, unresponsive. The boy was rushed to a fire station and, later, a local hospital for medical care, but he died. His body temperature was 109 degrees, investigators said. Bruno was arrested and charged with aggravated manslaughter of a child. A 1-year-old girl, Victoria Marks, died May 17 after being left for hours in a hot car in a Dallas elementary school parking lot by her mother, teacher Vibha Marks. The mother, 42, told investigators that she was “certain” she dropped the child at day care, according to a Dallas Police Department arrest warrant affidavit. A student saw the child, tried to rescue her and alerted authorities. “Is my husband OK? … Did something happen to my baby at day care?” Marks responded when officers approached her in the school, the affidavit said. She faces a second-degree felony charge of child abandonment in her daughter’s death. A 1-year-old boy, Noah Tamez, died May 24 in Corpus Christi, Texas, after being left in a hot truck for hours. The truck belonged to his uncle, according to Julie Hernandez-Garcia, a senior officer with the Corpus Christi Police Department. An investigation is continuing, she said. Two children, a 2-month-old girl, Jade Downing, and her 20-month old brother, Jelani Downing, died May 26 in Henrico County, Va., after their 22-year-old mother, Brittney Downing, left them in a hot car for hours during her seven-hour shift working at a local motel, according to news reports. A Henrico County Sheriff’s Office official confirmed the account. Downing was arrested and charged with felony child neglect. Fennell estimates that about 10 percent of the deaths occur in situations involving alcohol, drugs or outright neglect. The vast majority of cases occur when otherwise responsible parents or caregivers get distracted from their normal routine. Their brains actually allow them to believe they’ve left the child in a safe place, Fennell said. Once they’re trapped inside the cars, babies and children face temperatures that soar quickly to lethal levels. It takes 10 minutes for the temperature inside a vehicle to rise by 20 degrees; within 30 minutes, it can climb by 34 degrees, according to a heat study sponsored by General Motors. In that situation, even a mild day — 70 degrees — can quickly become deadly. A child’s body heats up far faster than an adult’s and children don’t handle heat as well, pediatric emergency experts say. It can take as little as 15 minutes in an overheated car for a child to suffer life-threatening brain or kidney injuries. When body temperature reaches 104 degrees, internal organs shut down. At 107 degrees, children die. The number of hyperthermia or heatstroke deaths of kids in cars has skyrocketed since the early 1990s, when the advent of airbags led to directives that young children be placed in the back seats of cars and in rear-facing seats for infants. That makes it easier to forget children in cars, especially if they fall asleep, Fennell said. Several car makers, car seat developers and other designers have proposed systems that would alert caregivers that kids were still inside. Fennell is a proponent of the “Look Before You Lock” campaign, which urges everyone to open the back door of the car and check inside before walking away. There are other backup systems to prevent tragedy, advocates say. Set up a plan in which it’s routine to call or text a partner or other caregiver when a child is dropped off. Place a purse, briefcase, gym bag, cell phone or other needed object in the back seat with the child. Set an alarm on a cell phone or computer calendar as a daily reminder to drop off a child. Fennell has also worked with toy makers to come up with another plan: Large stuffed animals nicknamed “Lucky” and “Chance” that ride in car seats when babies aren’t there — and act as a visual clue in the front seat when they are. “This can happen to anybody,” she said.